Each of the founding LEADS Collaborative partners has committed to executing specific roles that are that are within their respective mandates. These roles are broken down further in the strategic and implementation plans for the Collaborative. Specifics on the licensing model and evergreening process can be found in separate documents. The Canadian College of Health Leaders (CCHL), is a national, member-driven, non-profit association dedicated to ensuring that the country’s health system benefits from capable, competent and effective leadership. College members come from every health sector and region in Canada and are at varying stages of their careers. Members include students, and health leaders who work in a variety of environments including medical companies, health authorities, health consultants, multi-level care facilities, hospitals, public and private health agencies, health charities, the Canadian military and all levels of the Canadian government. With 21 chapters across the country, representing thousands of individual and corporate members, the College offers capabilities-based credentialling, professional development opportunities, and an extensive career network. Guided by a Code of Ethics and the LEADS in a Caring Environment Framework, the College helps individuals acquire the skills they need to change their own organizations and, ultimately, the health system. The College has governance and operational authority for the LBU, and the legal and financial risk associated with that accountability. CCHL is an intellectual property (IP) holder, having acquired IP in the LEADS framework in transfers from the Health Care Leaders’ Association of British Columbia (HCLABC) in 2012 and Royal Roads University in 2014. The College also acquired from HCLABC the IP and assets related to the LeadersforLife Program, the LEADS-based leadership development program, in 2012. These transfers enabled the College to form the LBU, and through it, to licence use of LEADS to others. The College has committed to transparency by generating distinct financial statements for LEADS that are segregated from College operations for reporting purposes. It has also committed to keeping net revenue from LEADS Operations with the LEADS Business Unit to promote the sustainability of the LBU and the investments required to achieve the strategic directions of the LEADS Collaborative. The College has aligned its certification programs with the LEADS framework as well as its professional development programs. It actively promotes the use of the LEADS framework to its extensive membership, publishes on the use of the LEADS framework in its peer-reviewed leadership journal Health Care Management Forum and through the LEADS Business Unit, is developing the portal hub to host the LEADS website and the Community for Practice. The College has also negotiated a three-year agreement with Dr. Graham Dickson for exclusivity to promote the use of the LEADS framework internationally. In doing so, this enables the LBU to focus on the Canadian market. Learn more about the College view their Annual Reports. The Canadian Health Leadership Network (CHLNet), formally founded in 2009, is a not-for-profit network of 39 Canadian health organization sector partners and hundreds of individual Friends of CHLNet dedicated to supporting and enhancing leadership skills across health care professions and jurisdictions. Through ongoing collaboration between health sector decision-makers and the research community, we aim to continue improving the evidence in support of advancing the quantity and quality of health leaders and leadership in Canada. CHLNet actively supports the rollout of LEADS across the country by validating the framework, advocating for LEADS with health leadership audiences at all levels, and endorsing LEADS as a preferred health leadership learning platform. CHLNet, through its network partners and friends of CHLNet, serves as a broker in identifying LEADS-based health leadership development program needs. CHLNet works with senior decision-makers and researchers across the country to stimulate evidence on leadership in practice in Canada and its role and impact on health system performance. CHLNet advocates for increasing health leadership capacity and capabilities throughout the country by sharing innovative practices and research. For more information on CHLNet, its services and strategic objectives, we recommend reading the full CHLNet Strategic Plan 2013-2016 and other supporting documents. Royal Roads University offers a progressive model of post-secondary education where personal growth is as important as academic achievement. Royal Roads University expects to use the LEADS framework for purposes within its mandate. Through a designated representative, RRU will contribute to the ongoing role of the Collaborative in support of the LEADS framework in order to advance health leadership to improve the performance of the Canadian health system. This includes participation on the LEADS Framework Governance Group. Visit their website to learm more about Royal Roads's School of Leadership Studies. Graham Dickson is Senior Policy Advisor to CHLNet, an academic advisor to the Canadian Society of Physician Leaders (CSPL) and a partner of the LEADS Collaborative. Graham was the founding Director of the Centre for Health Leadership and Research at Royal Roads University and led the development of LEADS. He does extensive work internationally on leadership development and LEADS. 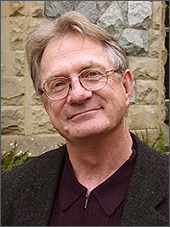 Dr. Dickson led the research team at Royal Roads University that developed the LEADS framework. Through his extensive work across Canada and internationally, Dr. Dickson is instrumental in spreading interest in the LEADS framework and thought leadership on how to apply the framework as a tool for change and developing health leadership capacity. Through Dr. Dickson’s work with CHLNet, he also spearheads research on health leadership, specifically in health systems redesign that includes effective health leadership practices including LEADS. Dr. Dickson is an author of the LEADS framework, although his IP in LEADS has not yet been specifically defined, a strategic advisor to CHLNet and the LEADS Business Unit, serves on the LEADS Governance Group and Operations Council, and through a contract with CCHL, is the lead on international LEADS-related work. Click here to read Graham’s full biography.